These unnamed sources told the Post that “the CIA has concluded in a secret assessment that Russia intervened in the 2016 election to help Donald Trump win the presidency, rather than just to undermine confidence in the U.S. electoral system.” The anonymous officials also claim that “intelligence agencies have identified individuals with connections to the Russian government who provided WikiLeaks with thousands of hacked emails” from both the DNC and John Podesta’s email account. Critically, none of the actual evidence for these claims is disclosed; indeed, the CIA’s “secret assessment” itself remains concealed. Deep down in its article, the Post notes — rather critically — that “there were minor disagreements among intelligence officials about the agency’s assessment, in part because some questions remain unanswered.” Most importantly, the Post adds that “intelligence agencies do not have specific intelligence showing officials in the Kremlin ‘directing’ the identified individuals to pass the Democratic emails to WikiLeaks.” But the purpose of both anonymous leaks is to finger the Russian government for these hacks, acting with the motive to defeat Hillary Clinton. Needless to say, Democrats — still eager to make sense of their election loss and to find causes for it other than themselves — immediately declared these anonymous claims about what the CIA believes to be true, and, with a somewhat sweet, religious-type faith, treated these anonymous assertions as proof of what they wanted to believe all along: that Vladimir Putin was rooting for Donald Trump to win and Hillary Clinton to lose and used nefarious means to ensure that outcome. That Democrats are now venerating unverified, anonymous CIA leaks as sacred is par for the course for them this year, but it’s also a good indication of how confused and lost U.S. political culture has become in the wake of Trump’s victory. (1) Nobody has ever opposed investigations to determine if Russia hacked these emails, nor has anyone ever denied the possibility that Russia did that. The source of contention has been quite simple: No accusations should be accepted until there is actual convincing evidence to substantiate those accusations. There is still no such evidence for any of these claims. What we have instead are assertions, disseminated by anonymous people, completely unaccompanied by any evidence, let alone proof. As a result, none of the purported evidence — still — can be publicly seen, reviewed, or discussed. 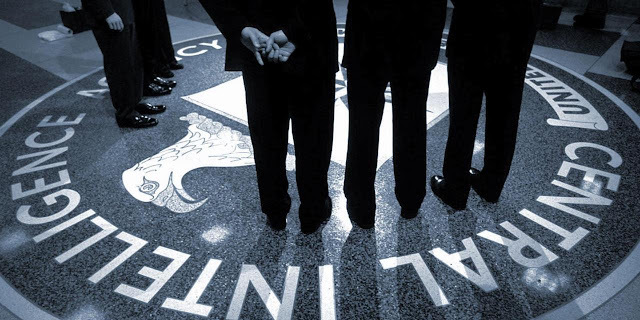 Anonymous claims leaked to newspapers about what the CIA believes do not constitute proof, and certainly do not constitute reliable evidence that substitutes for actual evidence that can be reviewed. Have we really not learned this lesson yet? A reminder to take every claim made by unnamed US officials about intelligence conclusions with healthy skepticism. (2) The reasons no rational person should blindly believe anonymous claims of this sort — even if it is pleasing to believe such claims — should be obvious by now. To begin with, CIA officials are professional, systematic liars; they lie constantly, by design, and with great skill, and have for many decades, as have intelligence officials in other agencies.